← June Blog Sponsor Giveaway! Yay! I get to show you one of the projects I’ve been working on! I’m collaborating with Pocky to bring you this fun giveaway! The prize is a one-of-a-kind crochet painting by me, in Choco Pup Pocky flavor! I made a cute lil progress video for it, too, and I’ll letcha know when that goes up. This entry was posted in Blog, Crochet, Giveaways. Bookmark the permalink. 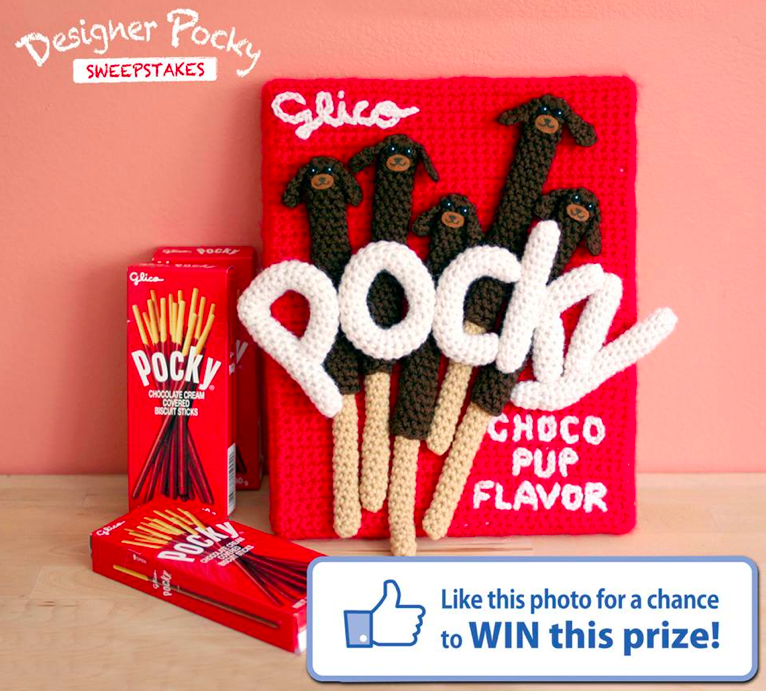 3 Responses to Crocheted Pocky Painting Giveaway!